1. Scientist ‘D’ - (i) M.Sc. in Meteorology or Oceanography or Atmospheric Science or Physics or Applied Mathematics or Climate Sciences or Marine Sciences or Earth Sciences or its equivalent from a recognized university with at least first class (60% marks) in the qualifying degree level. OR B.E./B.Tech. in Engineering from a recognized university or its equivalent with at least first class (60% marks) in the qualifying degree. 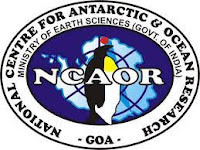 (ii) Seven (07) years’ experience in teaching (at graduate or post graduate level), research and development, survey, administration, planning, supervision or training, etc., in the field of Atmospheric Sciences or Meteorology or Oceanography or Theoretical Physics or Applied Mathematics. 2. Manager - On deputation basis (initially for three years) Officers under the Central Govt./State Govt./PSU/Autonomous Bodies (i) Holding analogous posts on regular basis in the parent cadre/department. OR (ii) With Eight years regular service in posts in PB-2+GP Rs.5400 or equivalent in the parent cadre/department. On direct recruitment basis Essential: i. Master Degree from a recognized University. ii. 6 years’ experience preferably in Govt./PSU/ Autonomous Bodies/ in the relevant area in PB- 2+GP Rs. 4800/5400/- or its equivalent. iii. Operational computer knowledge.